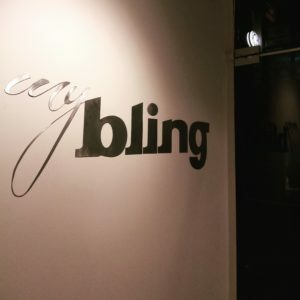 “My Bling” started as a fresh brand in the jewelry industry in 2014 with the goal of bringing together the need of designing ideas and seeing them come true in unique adornments. A “(my)Bling” always sounded better in our ears than just a piece of jewelry. A “(my)Bling” makes you happy and unique. It completes your outfit and compliments your style. We came with the name “My Bling – Jewelry by you” because it is the best way to describe that our pieces are made just for you and custom designed and crafted by hand for each customer separately. Our vision is to build a wide audience that shares our dream and our love for handmade jewelry; that wants to know the story behind each design. We aim to develop the trust of people into our brand and our products. The after sale service and commitment that follows each piece of jewelry is something we believe in and try to become even better. Our “blings” are timeless. We want them to last forever and be the hero pieces of your collection. We derive our inspiration from architecture, nature, fashion and ethnic trends and we are always alert for new sources. Everything in our world is a new infusion. We welcome any feedback that makes us better and wiser. You can find My Bling’s collections in museums’ gift shops, concept stores and online. Since she was little, Sophia had her flair for drawing and crafting stuff using threads, beads, leather in the beginning and wood, metal wire and stones further on. Architecture studies in NTU of Athens introduced a new world of design, tools and materials. She designs in both large and small scale. Jewelry making became a creative need. Since 2009, when she started attending silversmithing courses, metal became not only the main material in creating process, but a source of inspiration as well. 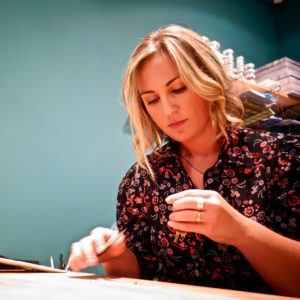 She makes her own wearable pieces of art and bespoke jewelry for special customers in her own showroom in Kifissia, Athens. 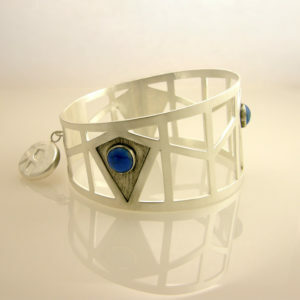 In her modern workshop she teaches silversmithing courses to beginners and advanced students. My Bling’s contemporary Jewelry has been awarded, mentioned and published and is shown at several exhibitions and markets around the world. In 2015 she was awarded with a Honorary Distinction at the 26th Jewelry Design Competition by the Hellenic Jewelry Association during the Hellenic Jewelry Fair @ TIF Helexpo in Thessaloniki, Greece. In 2016, My Bling’s showcase at AXDW, Athens Xclusive Designers Week (Athens Fashion Week) indicated the introduction of the brand in the fashion industry.